Morgan Loew is an investigative reporter on the CBS 5 Investigates team. His reports have landed crooks behind bars and led to changes in state law. He has exposed conmen who prey on the elderly and predators who target women and children. Morgan combines his legal training with the experience he’s earned over 20-years of news reporting in Arizona to break big stories and dig beyond the headlines. His stories about education, consumer scams and crooked politicians have gone on to make national headlines. Among his favorite investigations are the ones that take him undercover. In addition his hidden camera investigations on drug and human smuggling, Morgan infiltrated some of the most dangerous militia and vigilante groups in the southwest. Members were later charged with crimes that range from murder to child molesting. Over the years, Morgan’s work has appeared on CBS News, CNN, NBC, MSNBC, and NPR. 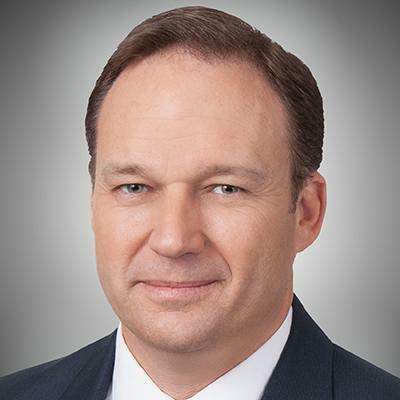 Morgan won ten Rocky Mountain Emmy Awards, a regional Edward R. Murrow Award for investigative reporting, the Society of Professional Journalists’ First Amendment Award, and a commendation from the Humane Society of the United States. Morgan is a graduate of the University of Arizona School of Journalism, earned his Juris Doctorate at Concord Law School, teaches media law at the Walter Cronkite School of Journalism and Mass Communication at Arizona State University, and is the president of the First Amendment Coalition of Arizona, Inc., which advocates for open records and open government. When he’s not working, Morgan enjoys camping, cheering for the Arizona Wildcats, and spending time with his family at their ranch in southern Arizona.